While powder is not the most exciting makeup product to talk about, it’s actually one of the most essential. It is a rare photo-shoot that doesn’t require any and for personal makeup, a touch here or there makes a huge difference. When it comes to the red carpet, it’s a fine line… We want the all-important glow but we don’t want to look like we’ve just spent an hour in the sauna. 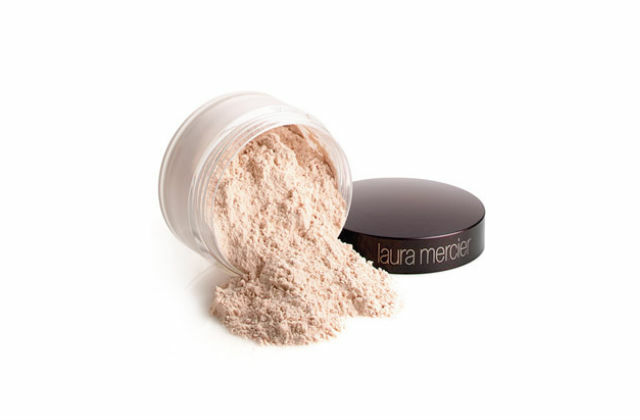 It took me a while to use Laura Mercier Translucent Loose Setting Powder and I’m pleased I did after hearing how many makeup artists loved it. It really is a beautiful, fine powder that blends with most skin tones and can be dusted on with a soft powder brush to keep your foundation in place. It’s also perfect on the eyelids before applying your eyeshadow so that you have a smooth, non-oily surface that the colour can glide on without looking too heavy, and great for setting any cover up needed.